Hyderabad: It was all just for money. For Rs 15 lakh, T. Jayaprakash Reddy alias Jagga Reddy who was then TRS MLA from Sangareddy trafficked three persons, including two minors in 2004. All documents were correct, but he changed the photographs. He joined the Congress after the offence and won the elections in 2009. He later moved to the BJP and returned to Congress. “The ex-MLAs daughter was aged seven and his son was four years old when their father created fake documents in their name to get passports for other persons. Based on the preliminary information, we collected the Aadhar data of the family and found that the pictures in the passport were different from those in the Aadhar database,” said North zone DCP B Sumathi. The DCP said that Mr Reddy used his official letter-head to request the authorities concerned to issue the passports. “Mr Reddy confessed of taking `5 lakh to traffic each person. He and his friend Jetti Kusuma Kumar accompanied them to New York, and stayed there for a week. However, the trio never returned to India,” she said. Reddy reportedly told the police that a person identified as Madhu contacted him offering the money for trafficking the three persons to the USA. He also threw his old passport and lodged a complaint of missing passport to obtain a fresh one. The travel expenses were also taken care of by Madhu. Responding to a query, the DCP said: “Further custody of the arrested person and the absconding will be taken to unearth more facts. It is suspected that the trio could be trafficked to work with any private persons in the USA. 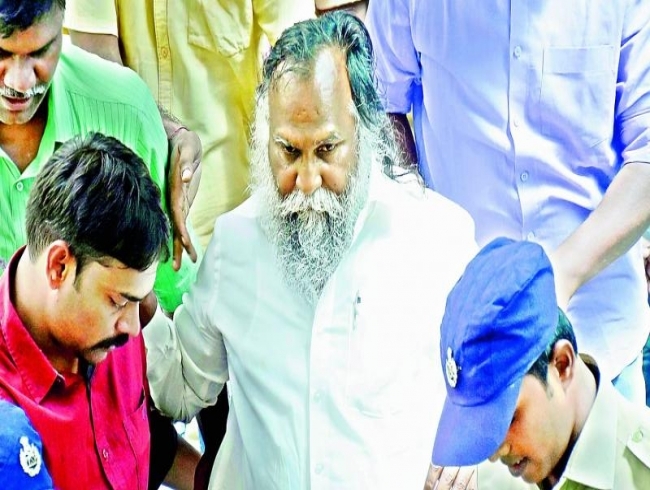 He (Jagga Reddy) cheated the Regional Passport Office and the US Consulate by using his official position as an MLA."